Update (March 24th) at the end of this post – a kind of response from Feldman. There was much ado recently about a new paper published in ‘Nature’ (“Observational determination of surface radiative forcing by CO2 from 2000 to 2010″ by Feldman et al.) claiming to have observed a strengthening in CO2-specific “surface radiative forcing” at two sites in North America going from 2000 to the end of 2010 (a period of 11 years) of about 0.2 W/m2 per decade, and through this observation further claiming how they have shown empirically (allegedly for the first time outside the laboratory) how the rise in atmospheric CO2 concentration directly and positively affects the surface energy balance, by adding more and more energy to it as “back radiation” (“downwelling longwave (infrared) radiation” (DWLWIR)), thus – by implication – leading to surface warming. In other words, Feldman et al. 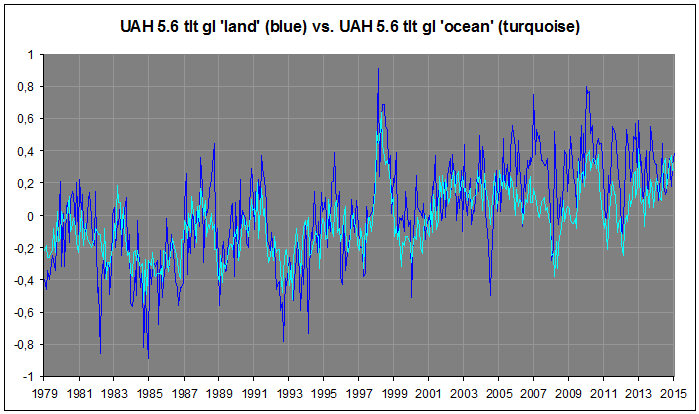 claim to have obtained direct empirical evidence – from the field – of a strengthening of the “greenhouse effect”, a result, it would seem, lending considerable support to the hypothesis that our industrial emissions of CO2 and other similar gaseous substances to the atmosphere has enhanced, and is indeed enhancing still, the Earth’s atmospheric rGHE, thus causing a warming global surface – the AGW proposition. So the question is: Do these results really “confirm theoretical predictions of the atmospheric greenhouse effect due to anthropogenic emissions”? There is a very simple way of doing this that people at large still seem to be absolutely blind to. To echo the words of ‘Statistician to the Stars!’ William M. Briggs: “Just look at the data!” You have to do it in detail. Both temporally and spatially. I have done this already here, here and here + a summary of the first three here. In this post I plan to highlight even more clearly the difference between what an anthropogenic (‘CO2 forcing’) signal would and should look like and a signal pointing to natural processes. The glaring flaw in their logic is this. 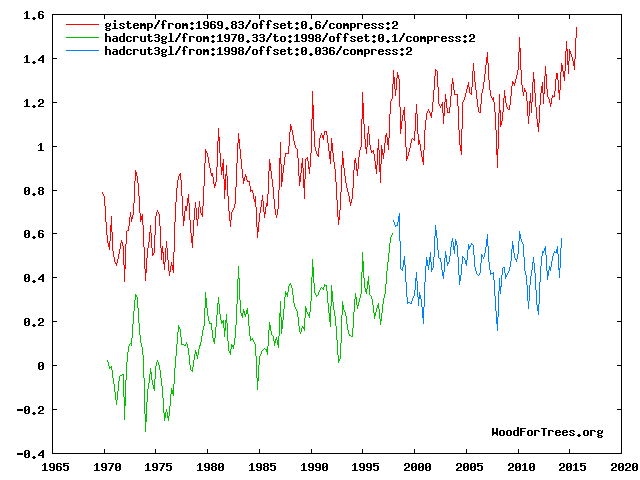 If you are trying to attribute warming over a short period, e.g. since 1980, detection requires that you explicitly consider the phasing of multidecadal natural internal variability during that period (e.g. AMO, PDO), not just the spectra over a long time period. 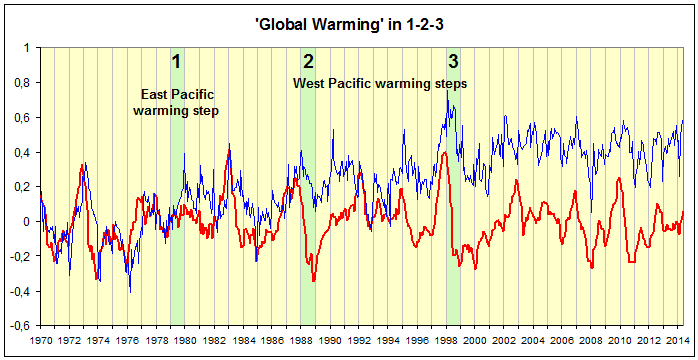 Attribution arguments of late 20th century warming have failed to pass the detection threshold which requires accounting for the phasing of the AMO and PDO. It is typically argued that these oscillations go up and down, in net they are a wash. Maybe, but they are NOT a wash when you are considering a period of the order, or shorter than, the multidecadal time scales associated with these oscillations.